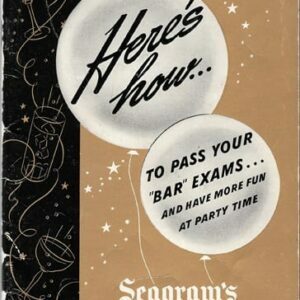 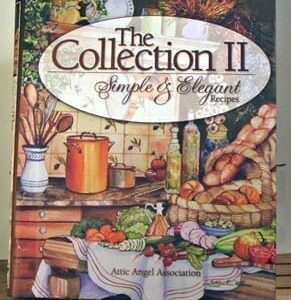 Vintage Specialty Cookbooks: specialty and aphrodisiac cookbooks. 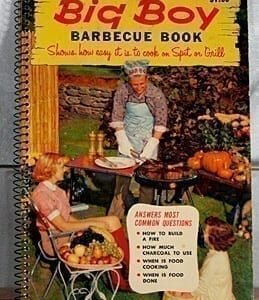 Vintage Specialty Cookbooks: Vintage Cookbook’s out-of-print, rare, antique, antiquarian and vintage specialty cookbooks that feature one food, one meal, one topic, or one cook, such as entertaining, menus, dinners, husbands, potlucks. 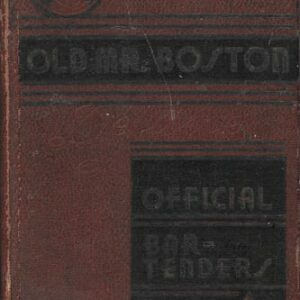 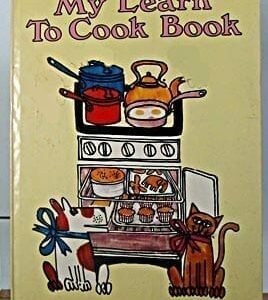 Includes historic specialty cookbooks to add to your vintage cookbook collection! 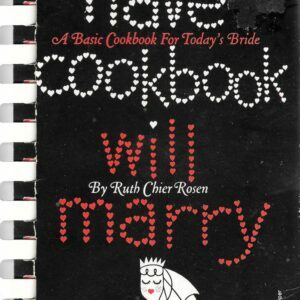 And we stash the aphrodisiac cookbooks here! 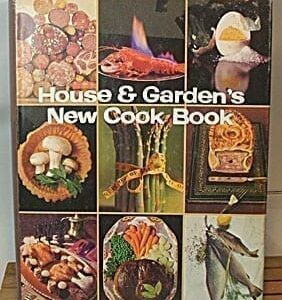 We’re also adding entertaining diet or weight loss cookbooks here, beginning with Dine Your Way to Permanent Slimness or How to be a Svelte Gourmet, 1973. 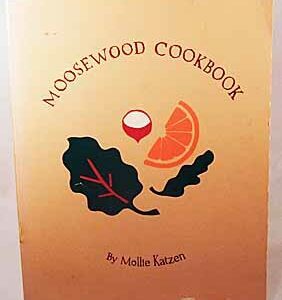 Vintage specialty cookbooks currently on the website include: Omelette Book, Narcissa Chamberlain, Illustrated by Hilary Knight, 1956, 1979; Moosewood Cookbook, 1977; Eat It Cookbook by Dana Crumb, Art by R. Crumb, 1972; Rose Recipes, 1958; Unusual Soups: Hot & Cold Soups for All Occasions, 1981; Wildlife Recipes: A Unique Collection, George S. Bachay, 1977; Barbeque’n with Bobby Signed by Bobby Seale; Boston Globe’s Casserole Cook Book; Sunset’s Barbecue Book, 1938; New Cookbook for Poor Poets and Others, 1979; Sourdough Jack’s Cookery, First Edition, 1959; What to Cook for Company, 1952; Sunset Barbecue Cook Book, 1962; Great Sausage Recipes and Meat Curing, 1984; Gottlieb’s Bakery 100 Years of Recipes, 1983; Three-Star Cuisine: A Nobleman in the Kitchen; Patio Cook Book, 1951; Chestnut Cookbook, 2000; Best of Bridge: Royal Treats for Entertaining; More Thoughts for Food: A Menu Aid, 1943; California Yacht Cookery, 1970, Stated First Edition; Eat It! 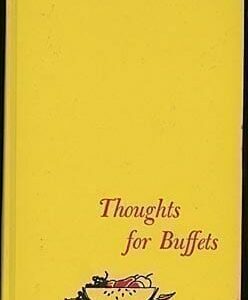 Munchies, Recipe Card Cookbook by Dana “Ma” Crumb; Das Ist Zucker That’s Sugar; In the Beginning: A Collection of Hors d’Oeuvres; Fiftieth Anniversary Cookbook, Pilot International, 1971; Thoughts for Buffets, 1958, Mint Condition; Formal Dinners by Julia Papin Gooding, 1940; International Dictionary of Food; Cooking Chafing Dish Cookbook; Inter Courses: Aphrodisiac Cookbook; Aphrodisiac Cookery, 1970; Naked Chef: Aphrodisiac Cook Book; Cookbook for Lovers, 1970; Runamuck Recipes, Reminiscences and Ramblin’s; Gourmet Grub for Campin’; Cook’s & Diner’s Dictionary: Lexicon of Food, Wine, and Culinary Terms, 1968; Canned Food Reference Manual, American Can Company, 1939; Sourdough Jack’s Cookery And Other Things; French Menus for Parties by the Chamberlains, 1968; Good Food Guide Dinner Party Book; Birthday Cakes for Kids: Dozens of Fun & Creative Cakes; Birthday Cakes for Kids: Dozens of Fun & Creative Cakes; Congressional Club Cook Book, 1970; Cedar Creek Game Cookbook; Fancy Pantry: Elegant Edibles, Helen Witty, 1986; Aphrodisiac Cookery, 1970; Cooking with Casseroles from Sunset, 1958; Rachel Carson, Fish and Shellfish of the Middle Atlantic Coast, 1945; Splendid Soups, James Peterson, 1993; More Thoughts for Food: A Menu Aid, 1943; Entertaining on the Run: Easy Menus for Faster Lives, Sorosky, 1994; Let’s Get Well: Practical Guide to Renewed Health through Nutrition, Adelle Davis; Great Sausage Recipes and Meat Curing, 1984Saucepans & the Single Girl, 1965; Spice Islands Cook Book; Von Welanetz Guide to Ethnic Ingredients, 1982; Creative Cakes, 1978; Taste of Astrology: Cookbook with 240 Heavenly Recipes; MOBAY All-American Cookbook; Brigade, Seats! 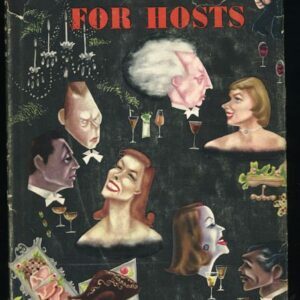 Naval Academy Cookbook; Spice Cookbook; Mary Hunt’s Salad Bowl, 1939; Lenotre’s Ice Creams and Candies; Ultimate Mousse Cookbook; Wine Cook Book by The Browns.